ATHENS (Reuters) – Police in Cyprus are probing the actions of a possible serial killer after two women were found murdered and dumped in a mine shaft and a third, a six-year-old child, is still missing. 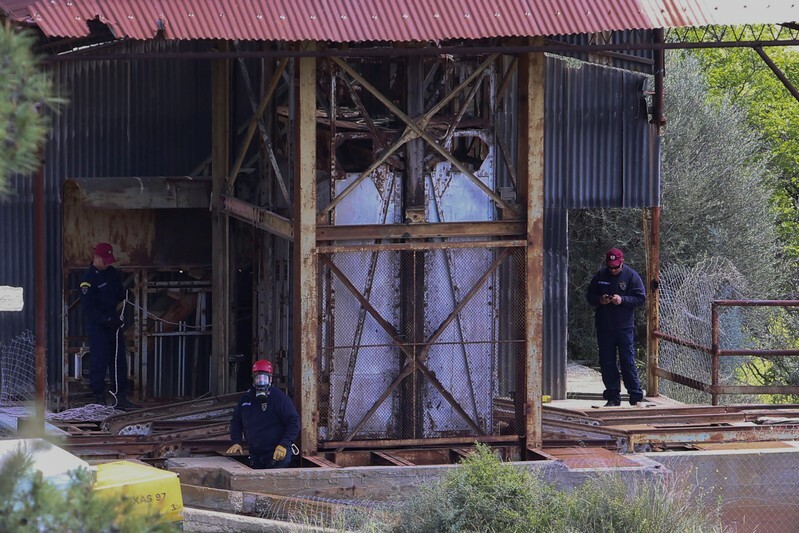 The victims were discovered in the space of a week at an abandoned mine about 30 kilometers (18.6 miles) west of the capital Nicosia. One has been identified as a 39-year-old woman from the Philippines who disappeared in May, 2018 along with her six-year-old daughter. A second victim, found late on Saturday, is thought to be a 28-year-old from the Philippines who was also reported missing last year, though has not been definitively identified. A 35-year-old career officer with the Cypriot army is in custody on suspicion of killing all three. “This is a form of crime unprecedented for the norms of Cyprus. It’s premature to assess the extent of this crime,” police chief Zacharias Chrysostomou told reporters. There was an intensive search at the mine shaft, which is submerged in water, and at a reservoir in the area on Monday morning. Both women had worked in Cyprus, which has a sizeable Filipino population. In court hearings, police said the army officer was suspected of having approached the women on an online dating site. Campaigners say police ignored fears expressed for their safety when they went missing last year. One campaigner, Louis Koutroukides, said police questioned his motives and suggested the 39-year-old and her child may have moved to the north of the divided island. “If they believed me when I went to the police things would have turned out differently,” he told state TV. Chrysostomou said police had “every intention” of investigating any perceived shortcomings and would assign responsibility where due. 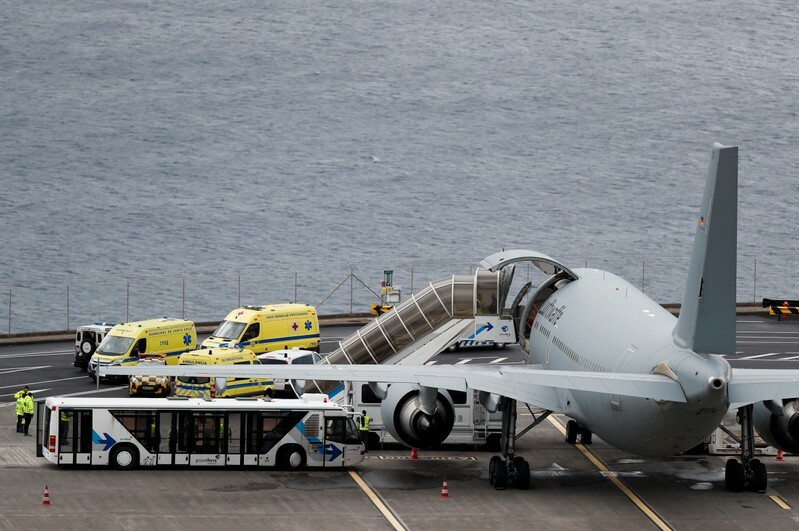 CANICO, Portugal (Reuters) – An air force medical plane from Germany landed on the Portuguese island of Madeira on Saturday to take home the injured survivors of a bus crash that killed 29 German tourists earlier this week. The bus veered off a steep road in the coastal town of Canico on Wednesday. The Portuguese driver and tour guide were among the 27 people hurt in the accident, which prosecutors are investigating. Eleven of the injured Germans have already been discharged from hospital and 12 will be flown home on the medical plane on Saturday. 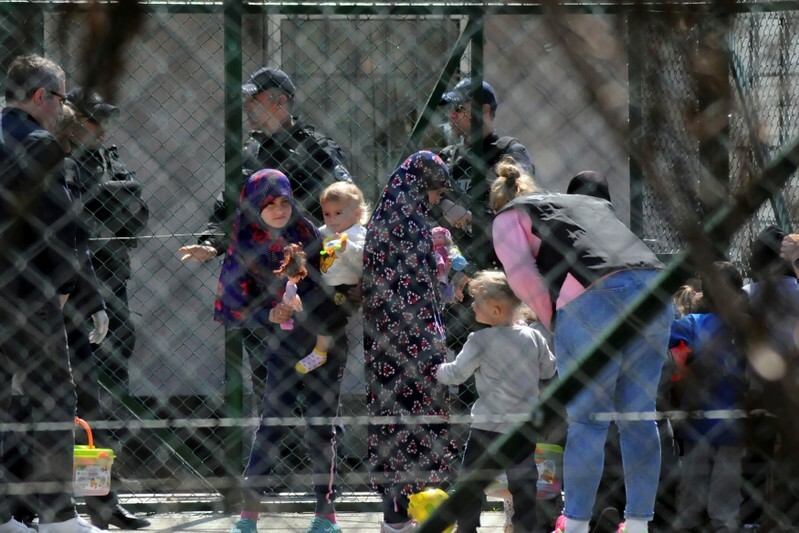 Another was transferred to Germany on Friday and one will stay in hospital in Funchal, Madeira’s capital, a hospital spokesman said. The driver and tour guide will also remain under observation in hospital, the spokesman added. 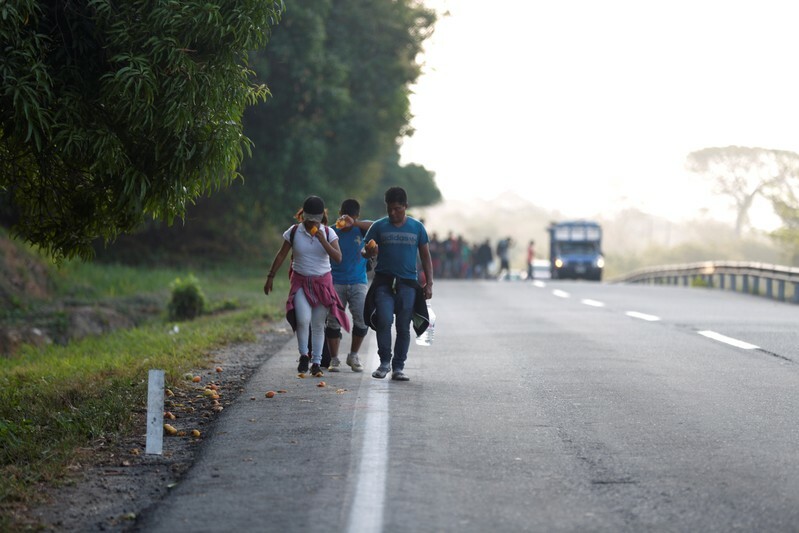 Images taken by Reuters photographers on Saturday showed some of the injured being carried inside the plane on stretchers. The company that owned the bus said it was cooperating with authorities investigating the crash, which killed 17 women and 12 men. Many of them were pensioners, German newspaper Bild reported. Autopsies and post-mortem examinations have been concluded, Portugal’s Justice Ministry said in a statement and authorities are waiting for data including fingerprints and dental records in order to confirm the victims’ identities. 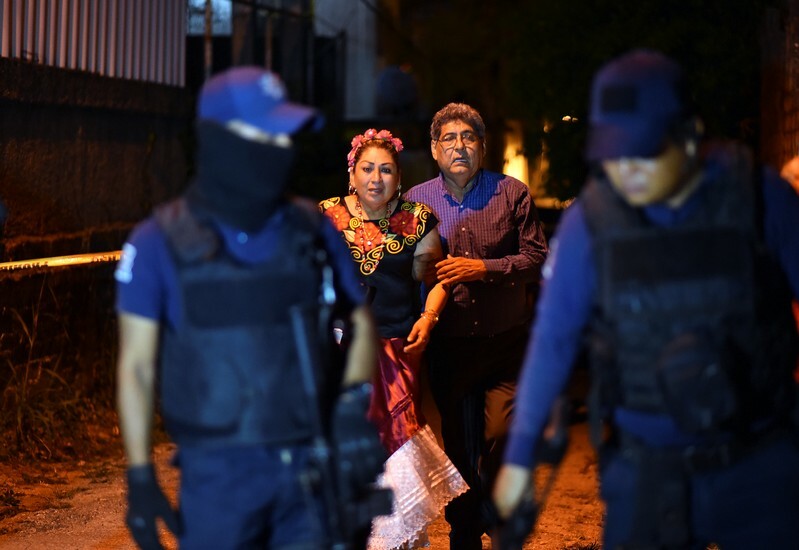 MEXICO CITY (Reuters) – Gunmen shot dead 13 people at a bar in the city of Minatitlan in the Mexican Gulf coast state of Veracruz, authorities said on Friday, in one of the worst slayings to hit Mexico since President Andres Manuel Lopez Obrador took office. Dog owners are estimated to be four times more likely than non-dog owning adults to meet recommended physical activity guidelines, according to new University of Liverpool research. The findings, which are published today in Scientific Reports, highlight the role that dogs may have in helping to keep humans healthy. It is recommended that adults should do at least 150 minutes of moderate-to-vigorous physical activity per week. However, this is achieved by only 66% of men and 58% of women in England and fewer than 50% of adults in the USA. Dog ownership is expected to encourage physical activity, but it has been unclear whether this effect occurs in all members of a dog-owning household, or whether dog walking replaces other forms of exercise. Dr. Carri Westgarth and colleagues assessed the self-reported physical activity of 385 households in West Cheshire, UK (191 dog owning adults, 455 non-dog owning adults and 46 children). Dog owners walk more frequently and for longer periods than non-dog owners, the results show. Moreover, dog walking in this population is undertaken in addition to, and not instead of, other physical activities. The government-funded fatal dog testing programs in practice today must be shut down. The effects of dog ownership on physical activity levels in the UK reported in the present study are greater than those reported in previous studies of North American and Australian populations. For example, 64% of dog owners in the new UK study reported that they walk with their dogs for at least 150 minutes per week, compared with only 27% in a USA study. Frank in Michigan called in to tell Alex that he’s had enough of Infowars supporting President Trump, because it puts Alex Jones in the crosshairs of the globalists. Alex lays it out for Frank. 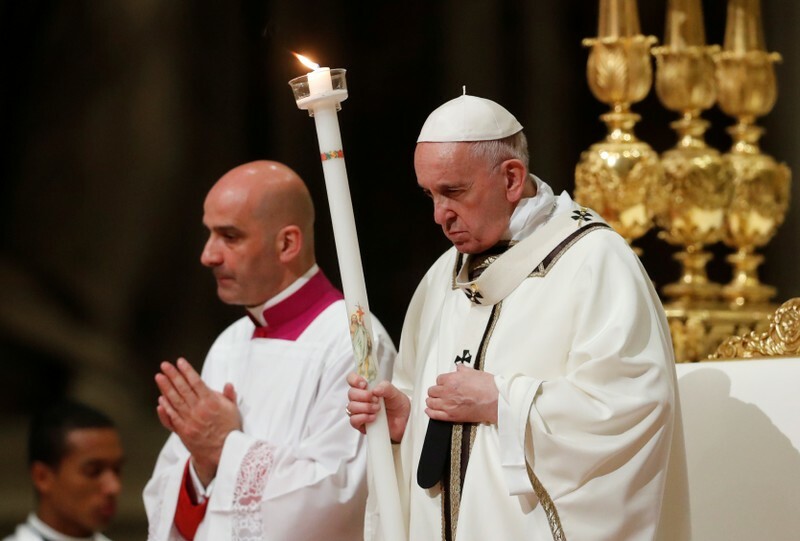 (Reuters) – Former U.S. Vice President Joe Biden plans to make a widely expected announcement of his candidacy for the presidency in a video on Wednesday, the Atlantic reported on Friday, citing sources close to Biden’s top aides. The announcement will follow months of speculation over whether Biden, a Democratic party stalwart and an early leader in opinion polls, would launch a bid for his party’s nomination to challenge President Donald Trump in 2020. 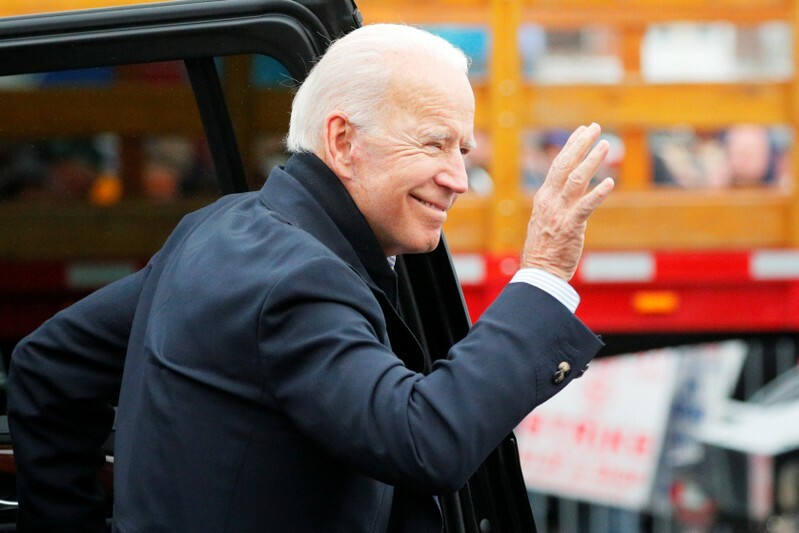 The announcement video will include footage shot two weeks ago outside the house where Biden grew up in Scranton, Pennsylvania, the Atlantic reported. Biden’s roots in the faded industrial town of about 77,000 people have fueled his appeal among U.S. working class voters. Biden served 36 years in the U.S. Senate representing Delaware and eight years as vice president under former President Barack Obama. At 76, he will become the second oldest candidate in the Democratic primary after Senator Bernie Sanders, who is 77. His announcement would bring the field of Democratic presidential hopefuls to 19. Political observers in recent weeks have wondered if Biden delayed his decision due to recent allegations from women that Biden made them feel uncomfortable when he touched them at political events in the past. Biden responded to the allegations earlier this month by saying he believed he never acted inappropriately during his many years in public life. In the days after four women came forward with allegations, sources close to Biden told Reuters that campaign preparations had not been slowed by the controversy. NBC News cited multiple officials as saying Biden’s advisers are finalizing plans for the campaign launch this coming week. As the American equity market roars back toward its all-time highs, a majority of the millennial generation is probably learning the true meaning of FOMO, because as study after study has showed, those who came of age immediately before, during and after the financial crisis were so scarred by the experience that they refused to ever buy in to the equity market. Overall, equity ownership among American adults remains 8% below its pre-crisis levels. Of course, the factors behind the millennial generation’s inability to accumulate wealth are myriad: Stagnant wages, crushing student loan debt and widening inequality are just a few reasons why the savings rate among those under the age of 35 is basically nil. And when they do invest, they appear doomed to repeat the mistakes of the not-too-distant past, favoring get-rich-quick bubble plays like marijuana stocks and bitcoin over blue-chip stalwarts like Apple. But while most would probably chalk millennials’ aversion to investing up to the fact that they don’t have any savings or income to spare, one recent study suggested that even if they had the money, they wouldn’t put it in stocks. Lexington Law, a firm that offers services to help people fix their credit, asked 1,000 millennials how they would invest $10,000 if they had it to spare. Nearly half – 46% – said they wouldn’t put the money in stocks. Only one in three respondents said they would rely on a financial advisor, reflecting a distrust of financial ‘professionals’ that has lingered since the crash. And although a slightly higher percentage of men than women said they would rely on their own advice, most expressed a lack of confidence in their investing acumen that was reflective of their lack of acumen. As the study’s authors argued, this distrust in the financial system isn’t terribly surprising. Considering the effects of the last market crash, it’s not terribly surprising that 46 percent of adults aged 25 to 34 said they wouldn’t invest in the stock market. Many of the financial institutions that played a role in the last recession continue to operate as investment banks today. Though employment and wages are up, the crisis hasn’t been forgotten. We wonder if their attitudes would be different if Congress and the Fed didn’t step in to bail out banks and the wealthy while leaving average working Americans to shoulder the brunt of the consequences?